We want to inspire 1,000,000 people to become better anglers while focusing on reviving our oceans and waterways. I’ve been fishing since as early as I could remember. Mainly I started fly fishing in tiny streams and lakes in the backcountry of Yosemite. However, it was my Uncle Mike and Uncle Jay who opened my eyes to deep sea and shore fishing. Later in life, I went for my PADI certification and after completing it, found out about spearfishing. Spearfishing mixes many of my philosophies into one activity: meditation, adventure, pushing the limits, meeting new friends, and catching your own food. You believe in improving our oceans so more animals and plants can prosper. You want to catch your own protein in an ethical manner. You want to get back to nature…where you belong. Here at Cast and Spear, we blend adventure and nature in order to give you the knowledge necessary to bring the bounty of the sea to your table. Who’s Behind Cast and Spear? One of my favorite fish to catch, the Red Tail Catfish. I have a deep love for fishing…but I’m no expert. I’m always striving to get better and I hope through this site I can share what I learn. I’m always looking to meet cool people who also share a love for fishing so we can compare notes and hopefully meet up on an excursion to find the best fish around the world. Whether you like spearfishing, deep sea fishing, fly-fishing, shore fishing, or any other type that’s not as common (I’m thinking of you, no reel fly-fishing) I’m down to go. Reach out if you have any cool tips worth sharing. If you want we can even share it on the site for others to improve everyone in our community. Q: What’s my favorite fish? A: Rainbow Trout. This was the primo fish when I was a kid to catch in the backcountry. It was a nice change of pace from the common Brook or Brown. Q: What’s my favorite fishing spot? A: Lately, I’ve been spearfishing primarily in Palos Verdes and Malibu near Los Angeles. Tulum is amazing too! Q: What’s the most unique fish you’ve caught? 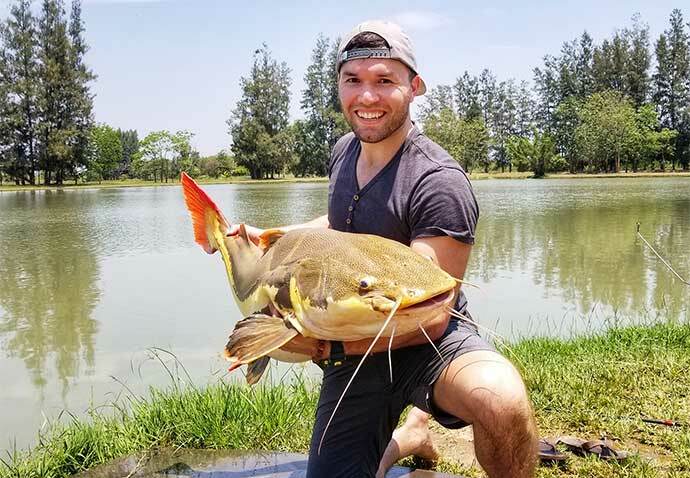 A: I’d have to say a Giant Mekong Catfish around 120 pounds in Bangkok, Thailand. Sean is on the left. 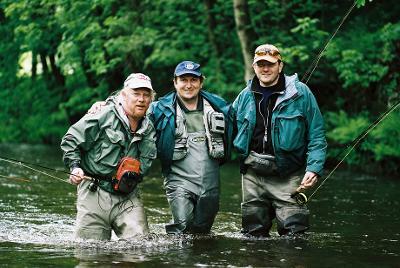 The guy next him is the multiple world fly fishing championships and is the Captain of Czech National Team, Jiri Klima. On the other end is Mike Dykstra of the Dutch team. Sean is an expert surf caster and fly fisherman. He’s an amazing guy who fishes out of Oregon. He’s been kind enough to edit some of the articles to help make sure they are accurate. Articles that have been edited by Sean will be noted and made clear. Al is a world-class spear fisherman. He has been teaching spearfishing for over twenty years. 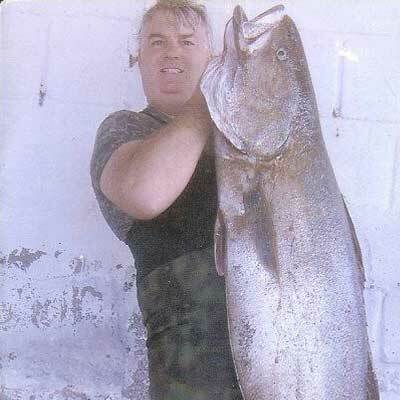 He has a proven track record as a successful spearfisherman as well as teaching and training others in the sport. He has also had many divers spear their first white sea bass and yellowtail while under his tutelage. He once held a world record for the yellow snapper, and previously held the world record for the yellowtail. He won the Long Beach Neptune’s Blue Water Meet. In 1987, he was on the first-place team, and finished second individually twice in the Pacific Coast Championships. 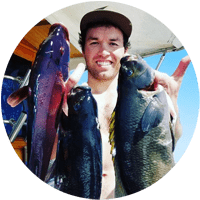 He has chartered spearfishing excursions down to Baja, California for over 15 years, where he has taken less experienced divers and taught them how to spear big fish, such as yellowtail, white sea bass, groupers, etc. Many of these spear fishermen have come back from these trips with bigger fish than they’ve ever speared before. A good portion of them also have gone on to become great spear fishermen in their own right. If you’re looking for someone to teach you how to spearfish, reach out to Al via phone or text at 1 (424) 222 – 1011. Johnny is an amazing writer. He resides in Nauvoo Alabama and has been there his entire life. 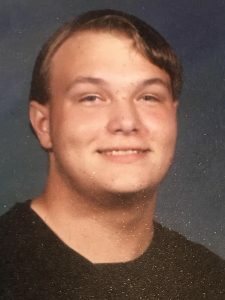 He has two adopted teenagers and enjoys a healthy balance of family and work. Johnny’s a huge fan of Creative Writing and even has some books in the works. He’s written for blogs and likes to create short stories…but most importantly, he loves fishing! Johnny even makes his own lures and some argue they are better than the professionally made ones! If you’re ever in the Alabama area and want to fish with a real stud, definitely reach out to him!